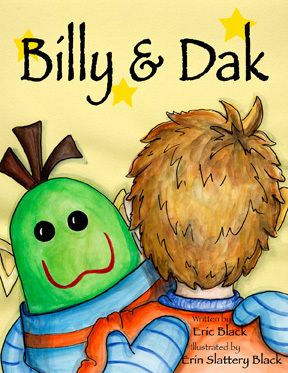 Billy & Dak is a fully illustrated picture book that tells the story of Billy Alberts, a young boy who was afraid of absolutely everything! That is, until his parents introduce him to Dak, a friendly Lyla Tov Monster who helps Billy face his fears. Written by Eric Black and illustrated by Erin Slattery Black, Billy & Dak, shows how children's fears can melt away when they have a trusted companion by their side.